Cartilage-The joint is lined by a smooth layer called the cartilage which enables pain-free and frictionless gliding movement. 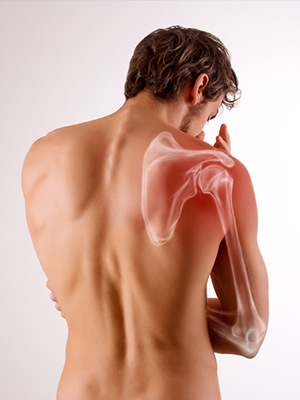 Loss of cartilage layer is called arthritis, which is the end result of many diseases of the shoulder joint. 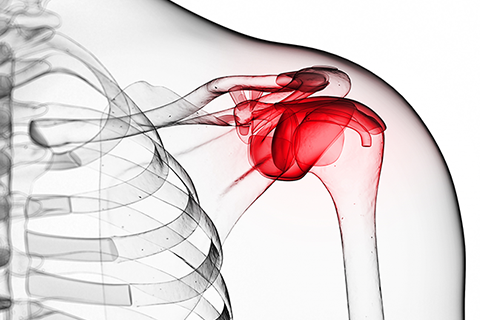 Acromioclavicular joint-There is one more joint called the acromioclavicular joint. This lies above the actual shoulder joint between the clavicle(collar bone)and the acromion bone. This joint can get dislocated (acromioclavicular joint dislocation) or can get arthritis in weight lifters etc..
Synovium-The shoulder joint is surrounded by the synovial layer of tissue which produces the synovial fluid for lubrication. 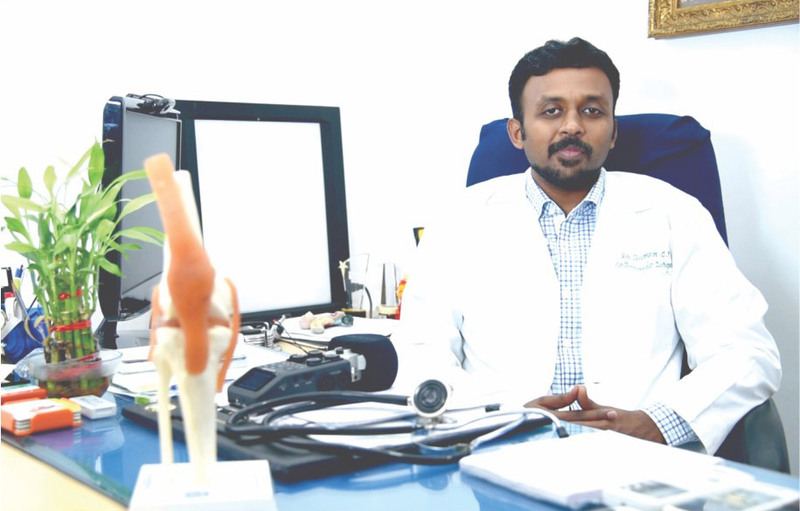 This tissue can get inflamed in conditions like periarthritis and rheumatoid arthritis. Capsule-This layer around the synovium,called the capsule onto which many ligaments and muscles attach to. This capsule can get inflamed in periarthritis and then get contracted and shrunken called as Frozen Shoulder (adhesive capsulitis) leading to severe restriction of movements. Glenoid labrum- the labrum is a fibrocartilage ring like structure around the glenoid bone which is responsible for stabilising the shoulder joint. 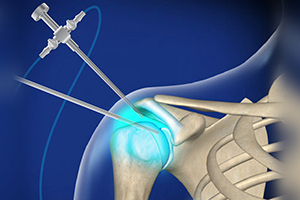 A tear of the front portion of the labrum called as Bankart’s tear is responsible for recurrent dislocation of the shoulder joint. A tear of the upper end of the labrum is called SLAP tear. Ligaments-There are many rope like structures called the gleno-humeral ligaments attached to the bone and the capsule. These ligaments are the primary stabilisers and prevent dislocation of the shoulder joint. 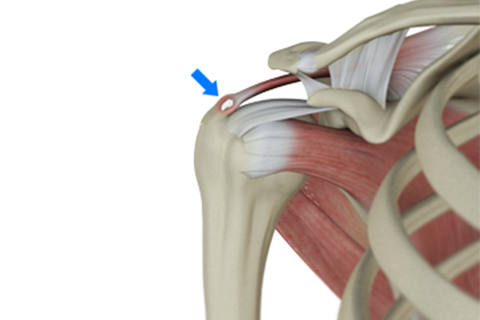 It is common for the ligament and capsule in front to get torn and never heal (Bankarts lesion) leading to Recurrent Dilsocation of the shoulder joint. 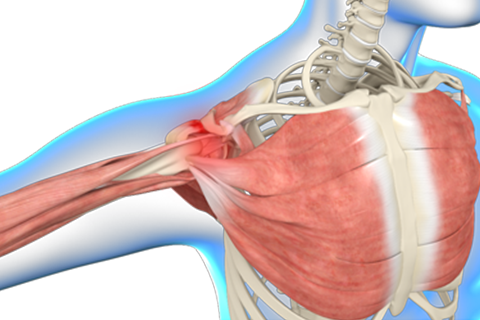 Rotator cuff muscles-Around the joint space are muscles – the most important being the Rotator Cuff muscles. These muscles include the supraspinatous, the infraspinatous, the teres minor and the subscapularis muscles. These muscles can get torn with trauma and age and this common condition is called as Rotator Cuff Tear. Bursa-There are two filmy sac-like structures called bursae permit smooth gliding between bone, muscle, and tendon. 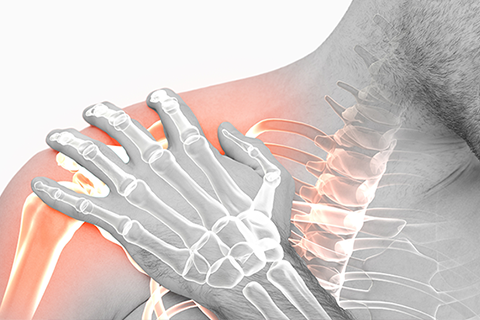 They cushion and protect the rotator cuff from the bony arch of the acromion.